In this post we have a Texas HUD Home at 403 W Dickson Ave., San Antonio, TX, 78214. This home is listed by HUD as a 4 bedroom 1 bath however I feel that it is actually a 3 bedroom home since there is no real dining room and a room that HUD calls a bedroom should be used as the dining area. It’s about 1,094 square feet and was built in 1950. It sits on a nice corner lot and has a detached 2 car garage as well as a large carport for ample parking. The home will need some cosmetic touching up like painting, flooring, trim work and have the foundation evaluated. That being said, it’s still priced well under the county appraisal, more than $15,000 under the tax value. It’s listed for $50,000 and HUD will pay 3% of your closing costs. There have been some tremendous savings on HUD Homes lately so if you are looking for a home to live in or some houses to pick up as an investor, now is the time to buy. All HUD Homes are time sensitive so you need to call me as soon as possible to discuss your buying options. Did you know that on some HUD Homes, HUD will loan you money to do repairs? Take a look at the video and see what you think, or search my webpage for other Texas HUD homes in your area. It’s as easy as entering a Zip code in the “Search Site” space on the website. FHA Case# 495-470408. ** Lot size and Tax Value figures are acquired from each county appraisal district website and should be verified by you for accuracy. Do have to have good credit for these homes? If you’re getting a loan then yes, unless your lender doesn’t care about your credit. But most do. 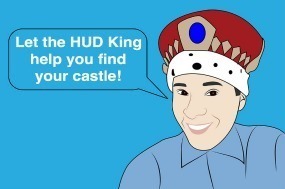 HUD does not care about a buyers credit, but the lenders do.